Do the existing economic models for decision-making generate serious economical and environmental crises due to their inherent lack of value reflection? Hear eminent philosophy professor Mark D. White lecture on this and more. On Friday April 25th, NMBU School of Economics and Business will host a guest lecture by professor Mark D. White, Chair of the Department of Philosophy at the College of Staten Island/CUNY. 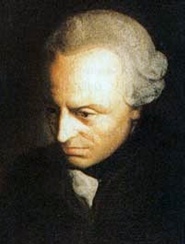 The title of White's talk is "The Importance of Kantian Ethics to Economic Models of Choice". If you're interested in what role value plays within the existing economic models for decision-making, you should join us at this talk! What restrictions, if any, are there on preferences within such economic models of decision-making? Do the existing economic models for decision-making generate serious economical and environmental crises due to their inherent lack of value reflection? In this talk, White will explain why he maintains Kantian ethics can improve economic models of decision-making. Traditionally, these models assume that people make choices to satisfy their preferences as much as possible within their given resource constraints. While this framework places no restrictions on the content of their preferences, the normal understanding of the structure of the model limits the ways in which people can make choices. In particular, it rules out any choices based on principles that are not easily traded off against preferences, principles that people are often loath to abandon simply due to a rise in opportunity cost. However, this standard economic model can accommodate principled choice if its basic framework is understood the right way, which White will illustrate using the duty-based ethics of Immanuel Kant.Mark D.
White is chair of the Department of Philosophy at the College of Staten Island/CUNY, where he teaches courses in philosophy, economics, and law. He has also authored a number of journal articles, book chapters, and books in these fields, including Kantian Ethics and Economics: Autonomy, Dignity, and Character (Stanford University Press). For more information, see White’s webpage. White has a wide range of interests and is a great person to discuss with. Hope to see you at his lecture! All interested are heartily welcome!